If you have been injured in a slip and fall or trip and fall accident, you are likely entitled to compensation for your injuries. There are many reasons why people fall and in our experience many ways property owners and occupiers can be held liable for injuries sustained in a slip and fall accident. Contact our slip and fall lawyers to get a free assessment, today. 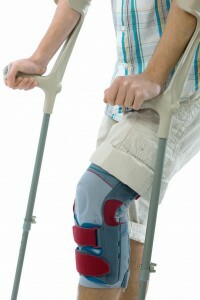 It is often easy to underestimate the seriousness of injuries sustained in fall accidents. Slip and fall accidents can result in serious permanent disabling injuries. Injuries do not always appear serious at first. Some of the most serious personal injury cases we have handled were as a result of a fall. In Ontario, the Occupiers’ Liability Act imposes a positive duty on all property owners to ensure the safety of their property and anyone who comes onto their property. Property owners, property managers and occupiers of property must exercise reasonable care to ensure that their premises are safe for all foreseeable visitors. Our lawyers offer free consultations and a free case assessment. Our lawyers will provide you, free of charge, with our opinion on whether you can win your case. We accept all personal injury cases on a contingency fee basis. This means that if you do not recover compensation, then you will not be charged for any legal fees. Our fee structure is based on a percentage of the amount that we obtain for you. We always work with you to settle your case. Let us assist you in finding out what you are entitled to receive and let us make sure you receive every penny you deserve.